If you want to discover a charming in-town place to live, then you might want to consider Indian Head Acres. This popular Tallahassee neighborhood is fighting through a difficult housing market in a far more successful manner than many others. 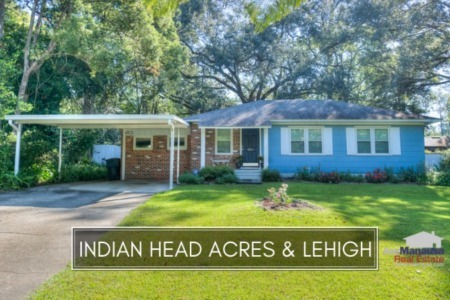 Before we get into the actual home sales report, you should know that Indian Head Acres has possibly the coolest street names of any neighborhood in Tallahassee. Do you know what a Nene is? The streets were named using authentic Seminole Indian names, and “nene” is the word for trail. It is very rare that you find a community with such thought used to create the street names, so I hope you enjoy knowing a little more about this community. 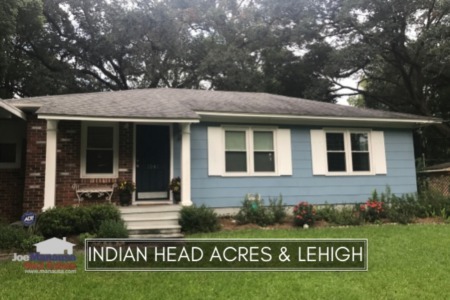 Since the peak of the market in 2007, average home prices in Indian Head Acres are down about 32%, which is consistent with the rest of the Tallahassee real estate market. In the graph below, arms length sales are in green, while distressed sales are in red. It is interesting to note that Indian Head Acres has only recorded two distressed property sales thus far. Home values have declined roughly 24% since the peak of the housing market, which is far better than most neighborhoods in Tallahassee. Perhaps it is due to the minimal number of distressed home sales, but more likely it is because Indian Head Acres did not see the same high level of appreciation during the boom as most subdivisions found from 2004 to 2006. As with the rest of Tallahassee, home values will continue to drop as the shrinking buyer pool will not keep up with the glut of inventory of homes in Tallahassee. This is not a short term trend, and we will see declining values for years to come. If you need to sell a home in Indian Head Acres, you should check out our Progressive Home Selling Plan Video. It gets homes sold fast.